My excitement level is very high. Will no doubt see Ezra and some of the Rebels crew and Luke. I knew this time period was coming but I do really like the fighter pilot pov. If you think about the pod racing and other awesome fighter / space scenes throughout SW then we should get something really awesome here with a touch of George Lucas style to it which I love and Filoni uses a lot. The voice actors and production crew seem awesome so I'm good but I am interested to see this anime inspired style. Always makes me nervous when they do this lol. I do not expect some kiddy teen titans go show so we should be good. I wonder if we'll be seeing Luke's new Jedi order before kylo ren destroyed it. Anyway im really excited about this.I really didn't think we would be getting a new animated series this soon. Yeah there are so many possibilities here and Filoni is money when it comes to SW. This is pretty much the movies for me. I think seeing Luke on a limited basis like we did with Obi is very possible. We should get a good dose of Snoke but cameos of Han Leia and Chewie. Also some closure to Rex and Ahsoka. 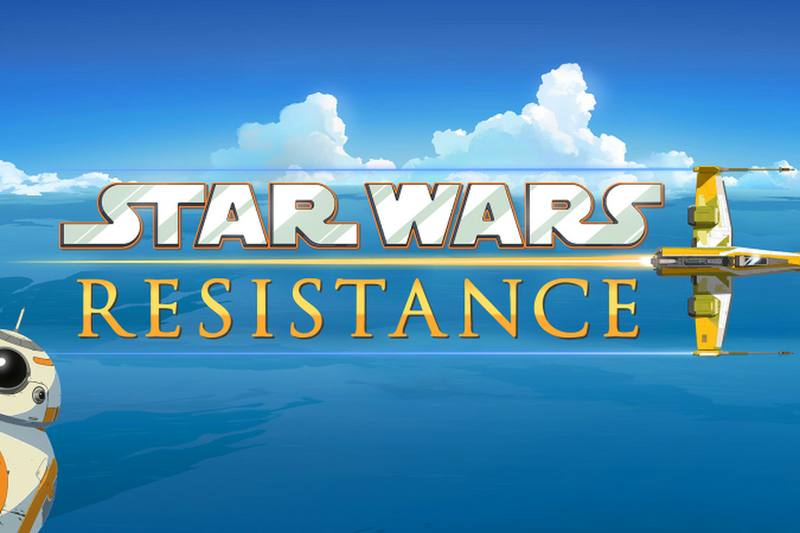 I mean let's be honest here unless JJ does something and we know Rian is moving in a different direction..then the animation shows are free game to tell stories and close out some classics. Too early to tell but I trust Filoni. Honestly it looks like total kiddie shite and that form of cel animation makes me shiver but.... Rebels worried me too so we'll see. The comedy animation in this though like with bb8 is just horrible. Definitely going the much younger route. Hey! At least we have clone wars so someone was smart enough to cover their butts lol. Those dislikes to likes though for the yt vid...yikes. I will be honest, my hatred for everything post RoTJ makes me not care about this series.